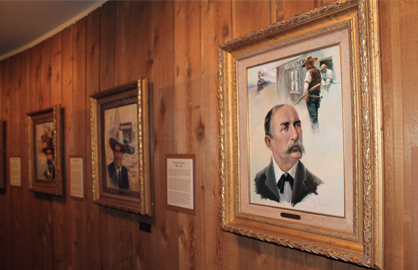 The TEXAS RANGER HALL OF FAME is a State memorial dedicated to the 150th anniversary of the the Texas Ranger service. The Hall of Fame commemorates 31 Texas Rangers who made significant contributions to the development of the service or gave their lives in the line of duty under extraordinary circumstances. Inductees are selected by a committee of serving and retired Rangers. Please click the list at left to see biographies of Inductees.